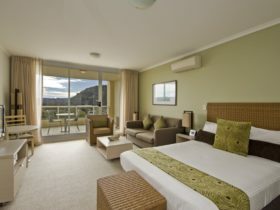 Avoca Beach Hotel is located less than two kilometres from the beautiful Avoca Beach. 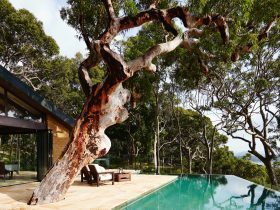 Nestled into the side of a hill, it sits on 15 acres of natural bushland and gardens. 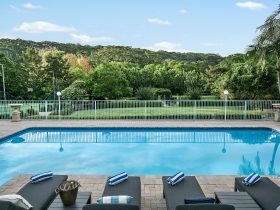 Avoca Beach Hotel features include three conference rooms, accommodation in 36 balcony and garden units, 27 self-contained villas, 12 Terrace apartments, a licensed restaurant with a balcony overlooking the gardens, and a salt water swimming pool. 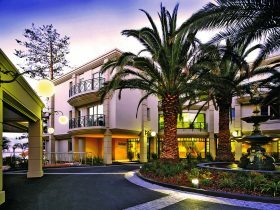 Avoca Beach Hotel offers conference and wedding venues, Treetops Restaurant, the Saltwater bistro offers dining, two bars, and function and event facilities. Within walking distance of the Villas, the resort offers a full size tennis court and plunge pool and there are extensive open areas within the grounds for outdoor activities. 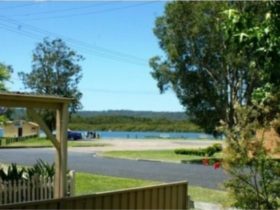 The resort is conveniently located approximately an hour and fifteen minutes from Sydney and Newcastle and just five minutes from Terrigal. Styled with brick walls and exposed beams and high ceilings the standard motel styled rooms are each furnished with a Queen and a Single bed making them perfect for couple or twin share accommodation. The individual villas are spaciously designed with high raked ceilings, these are ideal for groups, families and couples. All units are self-contained with two bedrooms, full kitchen, bathroom and laundry, including washing machine and clothes dryer. 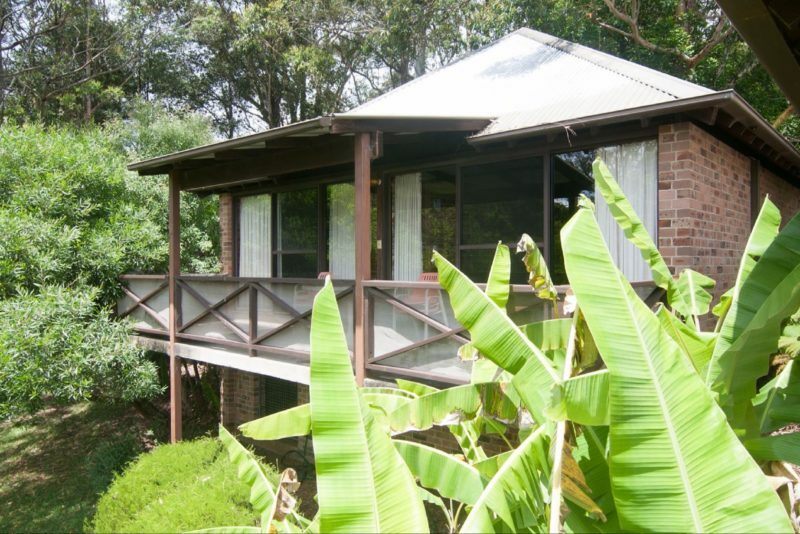 The lounge area opens onto a wide balcony providing a peaceful, serene atmosphere to enjoy the wildlife. Covered car parking is located next to each villa for ease of access. Terrace accommodation consists of 12 contemporary, spaciously designed terraces. They are all two storey and two bedroom. 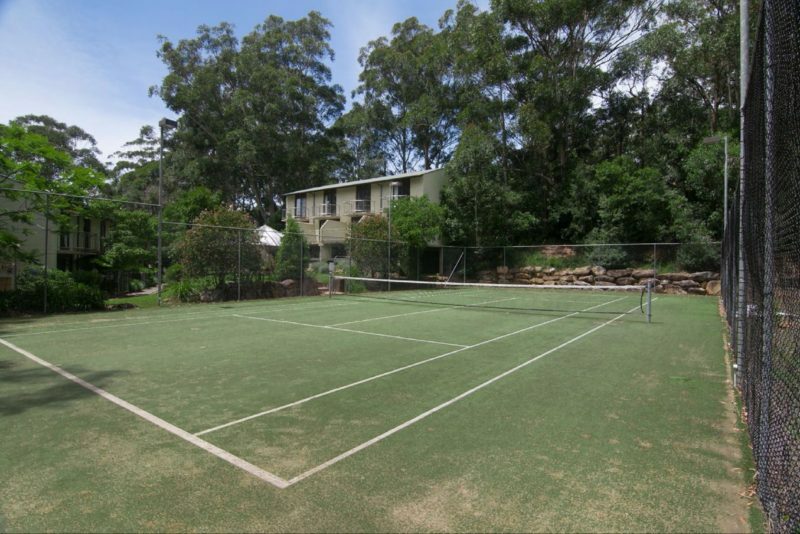 Each terrace is fully self-contained with a full kitchen, bathroom, laundry facilities and undercover car parking. The ground floor includes a kitchen, carpeted lounge and dining area. The lounge opens onto a private north-easterly sundeck. Comfortable lounges, televisions, video players, natural gas heating and continuous hot water are great for a winter getaway. 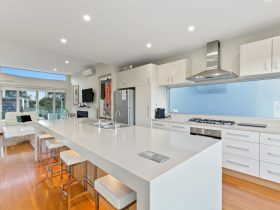 The kitchen is supplied with cutlery and crockery as well as a dishwasher, microwave and natural gas cooking. 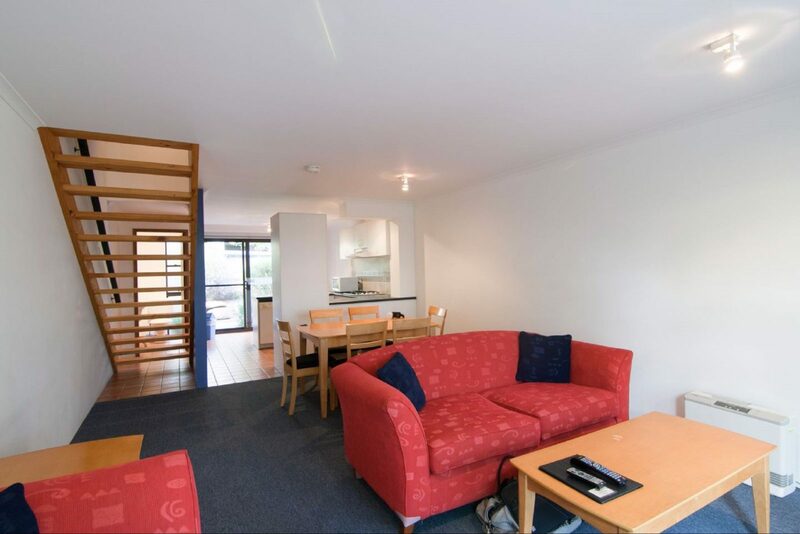 Two bedrooms are located upstairs, both with built-in wardrobes. The main bedroom has a queen size bed, and the second bedroom has two single beds. Both bedrooms open onto private balconies to soak up the sun. The deluxe rooms have recently been renovated and are complete with all new furnishings, bedding and fittings to create a fresh, modern, relaxing and quiet stay. Set with one queen size bed and one single. These motel styled rooms are perfect for short stays.